See yourself in nature! 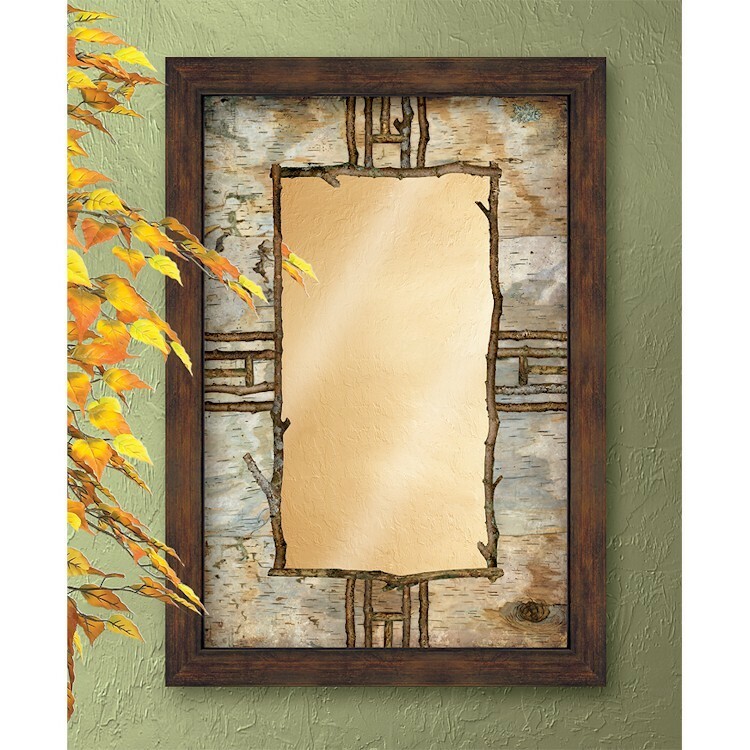 The Hardwood Forest Framed Mirror is a striking mirror with fade-resistant printed ink border that captures the essence of a northern wilderness. 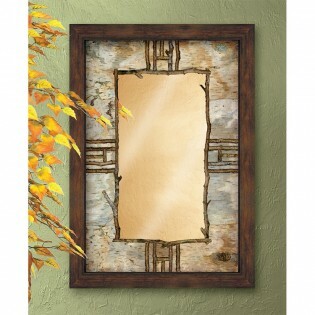 Size: 18"W x 26"H with a 1.5" dark oak-finished moulding.